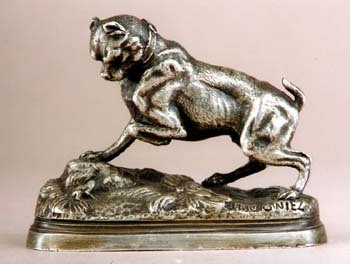 This is a very whimsical miniature cabinet bronze of a Terrier dog looking at a Frog. The dog is quite taken back by the appearance of the frog and has raised his front paw as though afraid of the small animal. 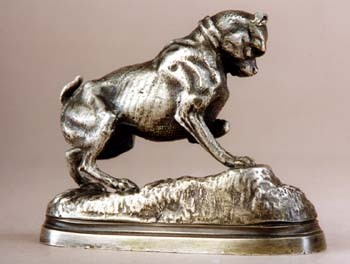 Small cabinet bronzes are very hard to find as very few survive today. This little jewel is very detailed and finished in a silvered patina.